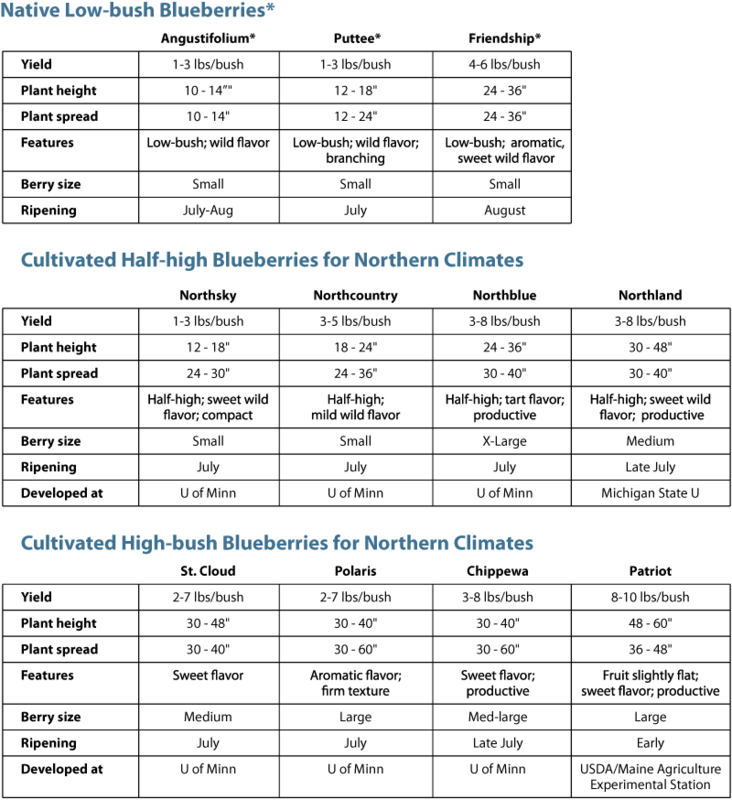 Low bush blueberries are native to Vermont. They thrive on lakeshores where you have several hours of sunshine each day. They can survive the weight of snow, and are better able to handle wind than high bush blueberries. It is easy to add what the soil needs. Elmore Roots nursery has a complete soil amendment for blueberries. Or you can make your own mix of (1) elemental sulphur, iron sulfate, sphagnum peat moss, or pine needles to increase acidity, and (2) compost made from manure, vegetation, or food scraps. If you are planting close to evergreen trees or shrubs—or rhododendrons and azaleas—the soil may already be acid. Almost all fruits do best in slightly acidic soil, somewhere between a pH of 5.5 and 6.5. 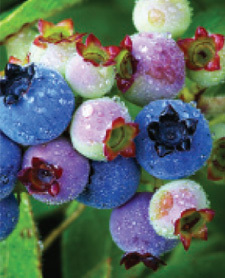 Blueberries prefer a soil of even greater acidity of between 4.0 and 5.0. Most fruit trees, including blueberries, have both male and female organs on the same flower, but not all are self-pollinating. The best bet for blueberries is to have didifferent varieties of blueberries within 100 feet, so bees can travel and cross-pollinate. Northcountry is one cultivar that is self-compatible and can be planted without another pollenizer cultivar. Pollination by wild or domestic bees is essential.